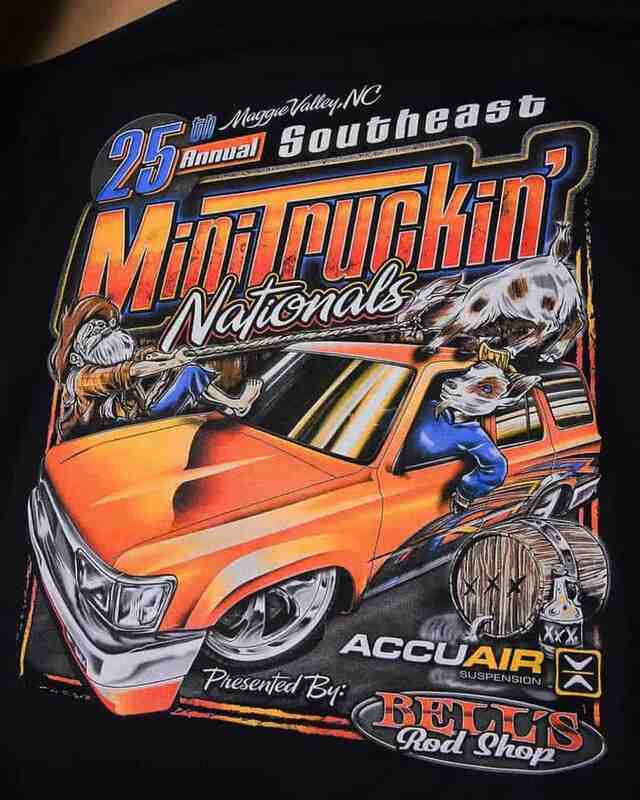 25th Annual Southeast Mini Truckin Nationals presented by Bells Rod Shop and Accuair will be held April 26 – 28 2019 at the Maggie Valley Festival Grounds. Thats right we are bringing you a 3 day show in the beautiful mountains of Maggie Valley NC. Come out and kick back with the most laid back show with that 90’s truck show feel. Enjoy the beautiful scenery of the North Carolina mountains and all the killer rides as we all gather to make Mini Truckin great again! With the Top 50 awards along with 20 specialty awards and of course the “FAB 5” along with cash prize! We will have games and giveaways all weekend and the famous cruise down main street of Maggie Valley – this is one you don’t want to miss!